Transfer from Hoi an to My Lai massacre by private car will take around 2 hours (132 kilometers). 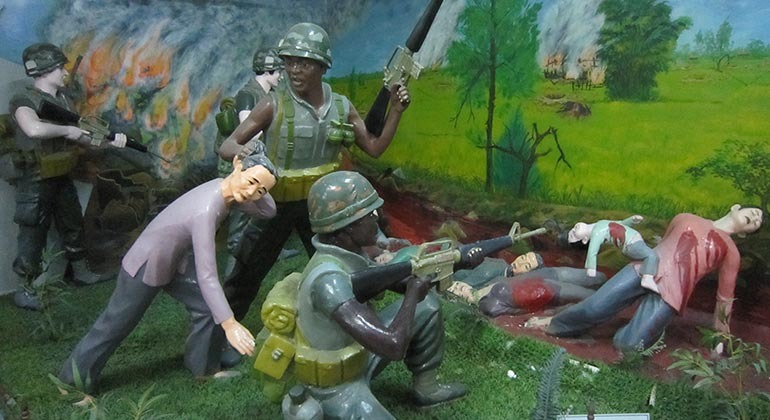 The village is known for the mass murder of unarmed civilians by American Troops during the Vietnam War. 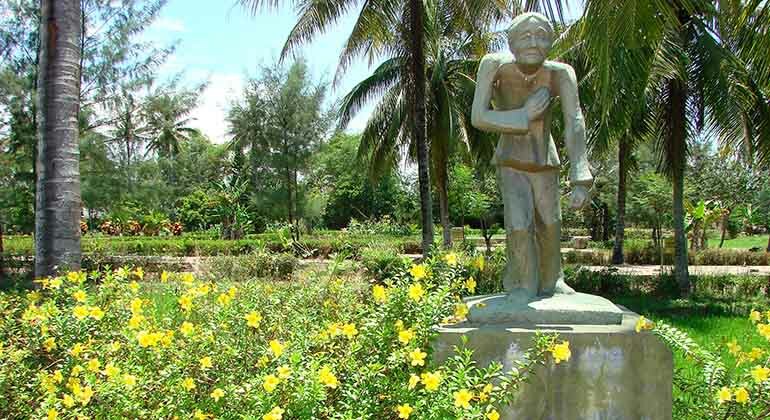 Travelling from Hoi An to My Lai by car with professional driver is safe, convenient and affordable and also give you a chance to know more about the local life, Vietnam Culture! Free of charges if you ask the driver to stop on the way for taking photos, having lunch, drinking Vietnamese coffee. 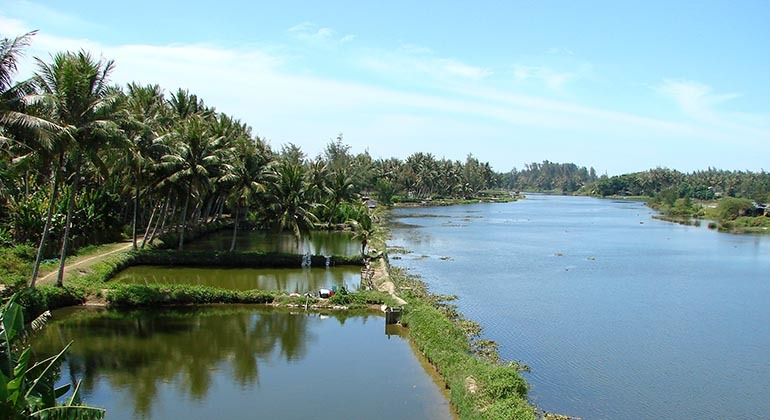 Hoi An to My Lai transfer by car is flexible around your needs! Join us and take the opportunity to see the unforgettable mountain and coastal scenery and discover the hidden beauty of the route from Hoi An to My Lai by private car. My Son Sanctuary (upon request)- is the holy land of the ancient kingdom of Champa. It is recognized as a Cultural Heritage site by UNESCO in 1999. My Son Sanctuary reveals secrets of the ancient Hoi An dwellers, the Cham and at the same time fascinates and baffles archaeologists. My Son Holy land is an attractive destination not only for domestic but also international tourists to visit and learn about the culture, history, and architecture of Champa Ancient Kingdom. After your Hoi An to My Lai transfer, our experienced and friendly driver will drive you back to Hoi An city center and drop you off at your hotel! Tour Guide is not included. 1. Does your company have limited time to visit if we want to rent a private car from Hoi An to My Lai massacre? 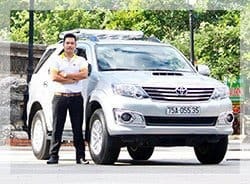 – For the private transfer such as Hoi An to My Lai, that price per car not person which included an English speaking driver; 24/7 chat, email or call support; toll and airport fees and charges, door to door service; free Wi-Fi on board and bottle of water. 3. How long does it take from our hotel in Hoi An to My Lai massacre? 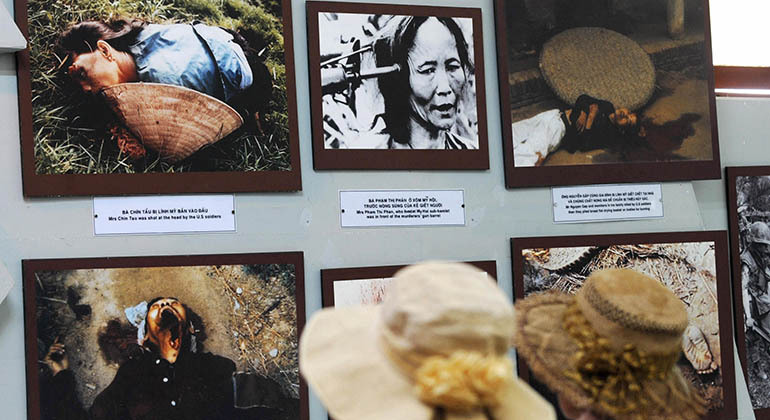 The transfer from Hoi An to My Lai massacre, It takes about 2 hours if you go direct but if you want to stop for taking pictures at many places on the way it would be longer than. And actually it depends on how long you spend time for each stops. 4. What happen if unfornately we canceled the transfer from Hoi An to My Lai massacre? 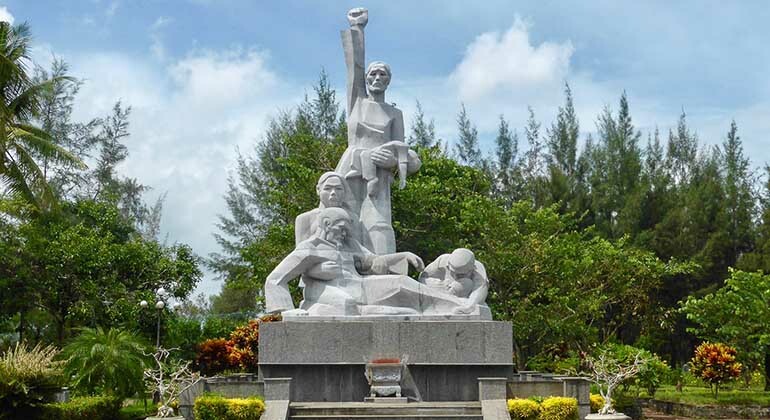 You can cancel your booking without any fees charge with the private car from Hoi An to My Lai massacre but only for one day before your trip starts. After that time, you’ll pay for the fee charges. 5. Does your driver can speak English if we want to know something during our trip from Hoi An to My Lai by car? Yes, they can. We are always so proud of our drivers who can speak Basic English communication or better but they are not tour guides so they have limitation. 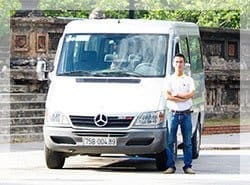 If you take the private car from Hoi An to My Lai, you will stop at My Son Sanctuary (Upon request) and our drivers also can give you some information about each place. We will be continue delivering excellent services for you. 6. Where will we meet our driver for the trip to My Lai from Hoi An? 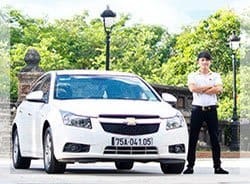 With Hoi An to My Lai transfer, all drivers wear our company uniform and will inform your hotel reception upon their arrival. The booking confirmation email also states information regarding pick up location, time and date of our rental. In case you are not still able to reach the driver or locate the office, you can anytime get in touch with our support team via call or email. I e-mailed about 2 weeks before my trip and the response was quick and clear. I used one of their drivers to transport from Hoi An to My Lai Massacre, with a stop at Marble Mountain. The driver spoke good English, was reliable and pleasant. I paid him when he dropped me off. The person I had communicated with via e-mail even touched base with me during the ride to make sure I was finding everything satisfactory and checked in with me when I arrived at my place. 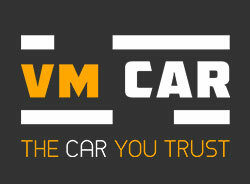 Very happy with VM Car company.